SAP Visual Enterprise Viewer (VEV) is used to view 2D/3D images on various SAP tools, web pages and even with Microsoft Office. VEV is an end-user tool which is lightweight, powerful, easy to use, and free of charge. It enables nontechnical users to view and interact with authored and published 2D and 3D content. One can provide visual instruction to a shop floor operator with help of SAP VEV. Following is a screen shot of image representation in VEV. User can rotate the image, zoom in/out it ,select any of the component and view its meta-data but can not edit it. 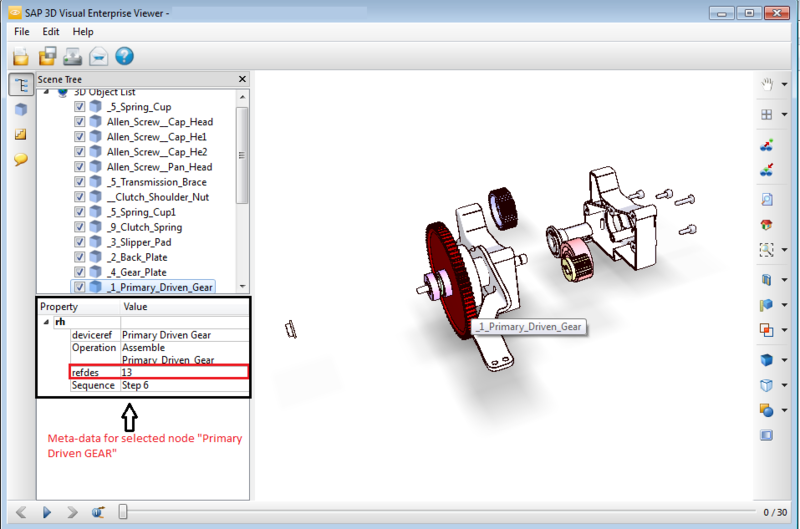 In this blog the focus is on integrating VEV with .irpt pages which can be built through SAP MII. SAP VEV should be installed on the client machine. 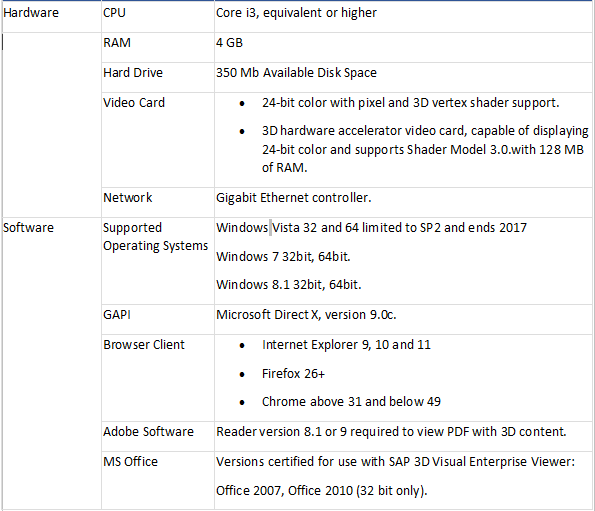 Following are the hardware/software requirements for SAP VE Viewer 9. Note: It can work with 2GB RAM and without graphic card but some of the functionalties like comparison of two images will not work. Once VEV is installed, its Integration with MII .irpt page is very simple. Generally 2D/3D files are of .rh and .vds format. For the explanation .rh file has been considered throughout this blog but the same is applicable to other format also. HTML renders these files as an object so it can be embedded by use of object tag with below syntax . After loading the file in object, we have to initialize some events that VEV provides. Below is the code to initialize and to get meta-data (refdes) of the selected node.